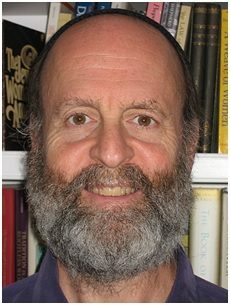 Kehilla is thrilled to host Rabbi Jeff Roth, the founder and director of the Awakened Heart Project for Contemplative Judaism, and co-founder of Elat Chayyim, the Jewish Spiritual Retreat Center where he served as executive director and spiritual director for 13 years. He is a leader in the world of Jewish meditation. Many of us have studied and meditated with Jeff over many years and love his spiritual leadership. We will chant verses from our Shabbat liturgy, have an incredible Torah service, have moments of silence, learning, and just “being,” all of which greatly nurtures our souls and our experience of the divine in this sacred space. Join us for this unique opportunity! Also, during the Torah service, Rabbi David will officiate the baby naming of the newborn baby daughter of Josh Daniels and Tracy Smith, who will sponsor the Kiddush following the service. Saturday, 3:00 – 5:00 pm – Meditation/Mindfulness Practice Session with Rabbi Jeff. Sanctuary. Sunday, March 26, 3:00-5:00 pm – Book Talk on Rabbi Jeff’s new book, Me, Myself & God: A Theology of Mindfulness. Fireside Room.